With one hundred and sixty five thousand people, 40 square miles of land, Tempe, Arizona packs the city life vibe into a small town atmosphere. 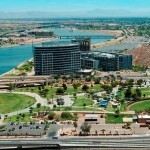 Tempe, Arizona’s seventh largest city, makes for a perfect tourism destination due to its central location. 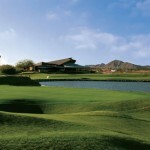 ASU Karsten Golf Club is conveniently located less than 10 minutes from Sky Harbor Airport this course is a perfect start or completion to your Arizona golf vacation. This championship par-72 Pete Dye design is a Scottish links style course that nears ASU Sun Devil Stadium.